Mathematics Interactive Mind Map Index. Elearning. Visualization of Technical Information, Mind Map. Puzzle: Fields of Mathematics Mind Map. 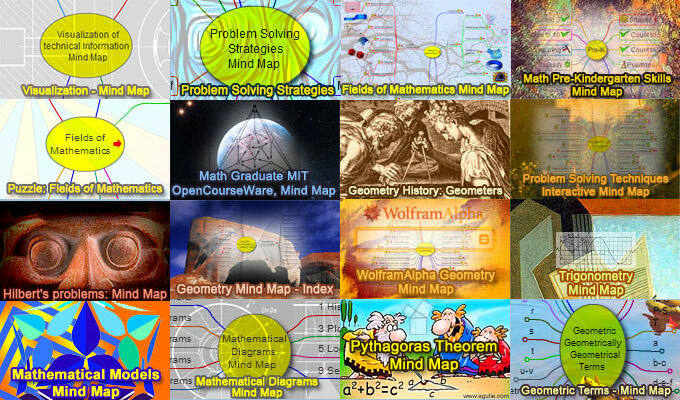 Math Graduate Courses by the MIT OpenCourseWare, Interactive Mind Map. Free publication of MIT course materials. Math Pre-kindergarten skills, Interactive Mind Map. Problem Solving Techniques, Interactive Mind Map.